Microsoft has just announced the general availability of the Office 2019 productivity suite for both Windows and Mac. The new version includes all the improvements that Microsoft has made to Office 365 ProPlus in the last three years, and despite Office 2019 coming with all the updates, the software giant still encourages customers to switch to its subscription-based service. What’s important to know is that Office 2019 is flagged as a one-time release, which means that no new feature updates would be added. The current feature lineup is the one you’ll stick with until the very next major release, and this is one of the reasons Office 365 makes more sense. Microsoft constantly rolls out updates for Office 365, and new features are being added regularly, so customers interested in such improvements should switch to the subscription-based offering. 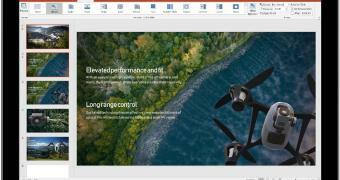 Office 2019 is available today for commercial volume license customers, while all customers, consumers, and commercial partners will get it in the next few weeks.